A Lesson on Purpose that’s better to learn EARLY. 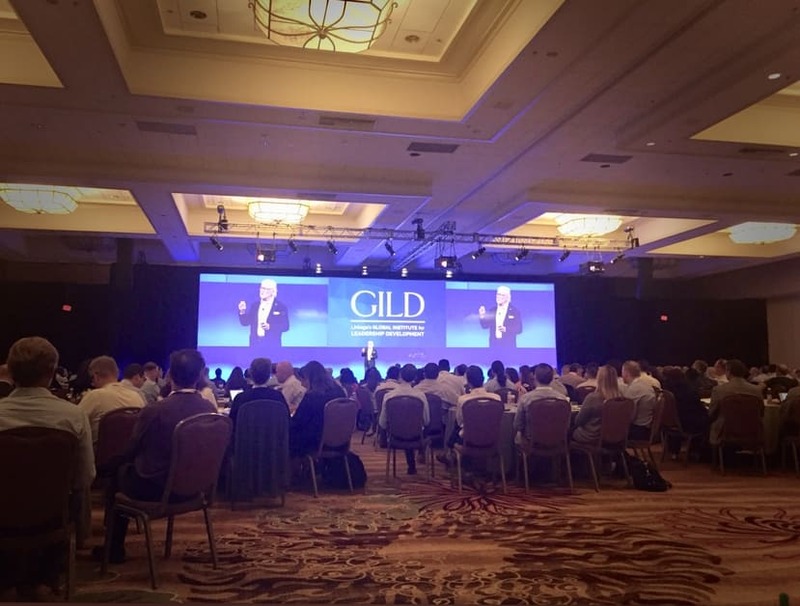 This morning, Richard Leider set a powerful tone for Linkage’s annual GILD (Global Institute for Leadership Development) 2018 Summit. His opening speech on The Power of Purpose, was about becoming a more purposeful version of you, and in becoming more purposeful, creating a pivotal moment in your life. The theme for this year’s summit is on Purposeful Leadership, and Richard has been interviewing elders for over 40 years, and shared important lessons he’s discovered. The number one regret elders wish they had understood earlier, was to understand the power of purpose. We learned through Richards lessons, what purpose is, why purpose is so powerful, how elders reflect on their lives and think about their purpose, the key to becoming purposeful, and practices for creating a more purposeful life. As a special behind the scenes view on this powerful speech, we are happy to share with you this incredibly powerful information, and give you a free worksheet that can help you carry on practices for creating a more purposeful life and tips to help you implement those practices. Has anybody said to you, “Get a Life!” Getting a life is about getting a purpose in your life. Discovering that purpose and LIVING in it, every single day. Purpose is a verb, purpose is something we do, not just something we have. PURPOSE is fundamental to leadership and self-leadership and bridges the connection between self and service. Without purpose, there is no leadership. Purpose is not about a cause, purpose is a mindset; it’s about being clear about your aim, it is a direction. Purpose is not a luxury, it is not something that few can attain. Purpose is fundamental to our own happiness. Everyone of us wants to have our lives matter and the only way we find this, is through defining our purpose and BEING that purpose. Why is Purpose so Powerful? A third of people today does not have the answer to this question, “Why do you get up in the morning?” After 4 decades of studying purpose, Richard has discovered purpose, knowing WHY you get up in the morning, is fundamental to health, healing happiness, longevity. If your purpose is clear and you are living your purpose, you can actually live 7-10 years longer. This is why waking up and knowing your WHY is so important. We all need a reason to get up in the morning with a purpose of something that is beyond ourselves. “If I could live life over, I would be more reflective. If I could live life over, I would be more courageous. Richard mentioned, most elders’ #1 regret in not taking a courageous career risk was not authentically sharing who they were and what they bring to the party. Do you have a job, career, or a calling? Do you have the COURAGE to step into your own self-awareness and act on it? GROWING AND GIVING= This is the key to becoming more purposeful. Think about it, when do you start growing older? When you are born. But are you growing? We have added almost 30 years to our lives, so we have to lead ourselves and lead others, through reimagining what is possible (without there being a crisis). In order to do this, we have to grow, we have to look at personal growth, at our own story. This is how you exemplify the power of purpose. People ask Richard “can you tell me to do with the rest of my life?” His answer: The 8th habit (of highly successful people) is knowing who you are and helping others discern theirs. We all want to play full out! We do this by becoming more purposeful and understanding the power of purpose! On mirror – Grow and Give – how will I grow and give today? At end of day, how did I do? Am I using my gifts on things I am passionate about in environments and I am bringing that out in others? Answer not, what you do, but why you do it….. The purpose of why you are here is for you to become you, to know and live your why from the cradle to the grave. When you practice on your purpose, you are living your eulogy virtues, the things you do that impacts others, rather than your resume virtues, when you focus on your self. Why we lead and why we live are fundamental to who we are as human beings. “I arise in the morning torn between a desire to improve (or save) the world and a desire to enjoy or savor the world. This makes it hard to plan the day.” – E.B. White. Thanks Richard Lieder for your Inspirational Keynote. Click here to download your free worksheet on strengthening your purpose inspired by Richard’s Work.